Xavier is a toolkit of intelligent data cleanup, bookkeeping and compliance tools designed for Xero Professionals. Our tools identify mis-codings, track key liabilities and quickly spot unwanted changes to historical data, saving your team time and reducing errors on a daily basis. 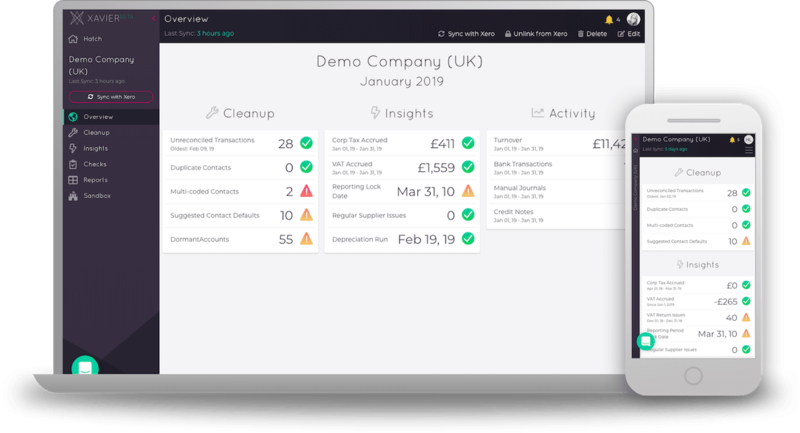 Flexible reporting and cleaner accounts gives all team members the confidence to have the right conversations with your clients. At Xavier we know that the best reports come from accurate data you can trust. Make sure you're spending your time having the big conversations with your clients, and let Xavier sweat the small stuff for you with our at-a-glance cleanup tools. 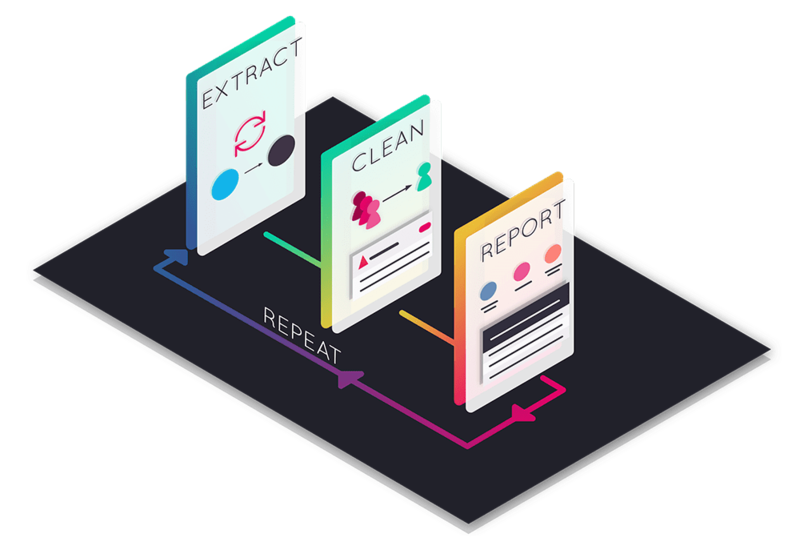 Our Insights feature can identify duplicate contacts quickly and easily using Xavier's machine-learning aided algorithm. Xavier can identify mis-coded invoices and transactions based on contact history, to make sure everyone's keeping track correctly. This AI-powered insight learns your payment patterns and identifies any unusual transactions for checking. Feedback to your clients has never been easier with our structured Health Check and VAT Return Checks. Enter your date range and walk through the compiled Xavier toolkit to make sure you're touching the key points with your clients, every time. Keep them up to date on their books, and their tax liabilities, as it happens. Designed by accountants, for accountants. Add your team today and start a 30-day free trial. Xavier is designed for teams and accountancies using Xero at scale. Add all of your Xero clients to Xavier to quickly search, assign to your team members, and even favourite, straight from the Client List view. You can also save your team time and effort by re-using our flexible pivot reports across all your clients. Coming Soon: Compare your clients directly on Xavier metrics with our new Practice Dashboard! Want to see Xavier's features in action before you sign up? Check out our fully featured demo to get a feel of the app using Xero Demo Company data, no registration or Xero account required. Click and go!